“Yosemite NP is burning!!!!! !”, she said with a slight tinge of panic in her voice, “Will we be able to go there?!”. California’s scale remains an abstract concept in my mother’s mind. She lives in miniature Belgium, where a 90-min drive in either direction takes you across the border in a completely different country with a completely different language. I explained to her that the national park is roughly the size of Belgium & Northern France combined, and that the wild fire is blazing in an area smaller than her province alone. I also reminded her that she won’t be here until 4th Oct 2013, which is roughly 4 weeks from today… I haven’t yet told her about the flooding & washed out roads in Death Valley NP, as I feel that might put her nerves over the edge. For the first time in our 13-year history of annual cross-Atlantic visits, we’re actually planning a more elaborate road trip over the Sierras. A trip the ‘Bank of Mom’ has graciously offered to sponsor, with the courtesy of a few gratuitous hotel nights I was able to secure through industry contacts. Mom has never been to a national park, and I’m already excited about seeing the awe-struck look on her face when she’s standing at the foot of Half Dome in Yosemite NP or squints her eyes over the desolate salt flats in Death Valley NP. We’re planning a 4-day loop from Los Angeles, over the Tioga Pass, to Mono Lake, Mammoth, Death Valley and back home. The idea of spending 4 days in a confined space with my mother is both thrilling and utterly terrifying. Will I be able to satisfy my dainty mother’s cleanliness standards in roadside bathrooms, and what if we eat lunch 10 min past 12 o’clock noon? Will the Government collapse if we eat… late?! 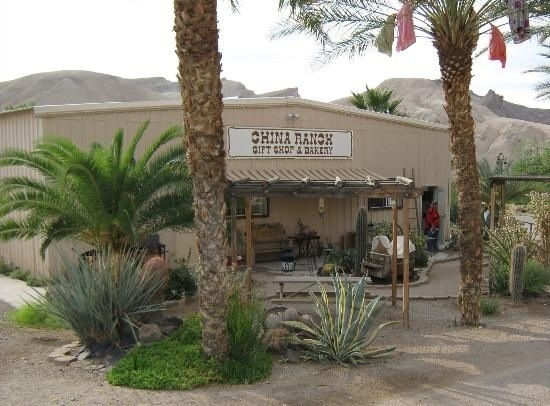 One of the places I’m particularly excited about visiting, is the China Ranch Date Farm. I first heard about the ranch through C., who’s a friend and fellow-film producer of my beau. 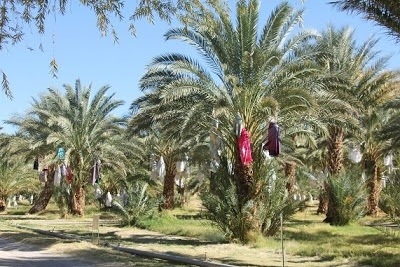 The ranch is an actively working date palm grove, located in a green lush oasis in the middle of the arid Mojave Desert, just South of Death Valley. I’ve always loved the sweet sugary stickiness of dates, and the idea of being in a place where they are grown and harvested just feet from where I’m standing, is almost too much foodie excitement for me to bear. If you’re ever in the greater Las Vegas area, you too have got to check them out. 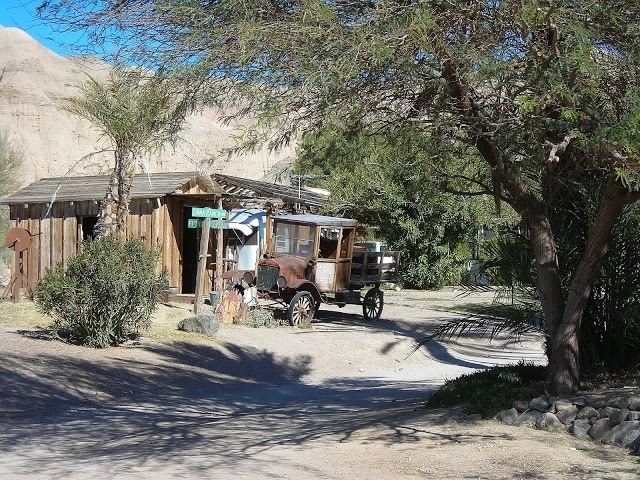 The history and the gift shop with all of its ‘Olde World’ trinkets is worth the trip alone, but a stroll underneath the date palms is surely to be memorable.